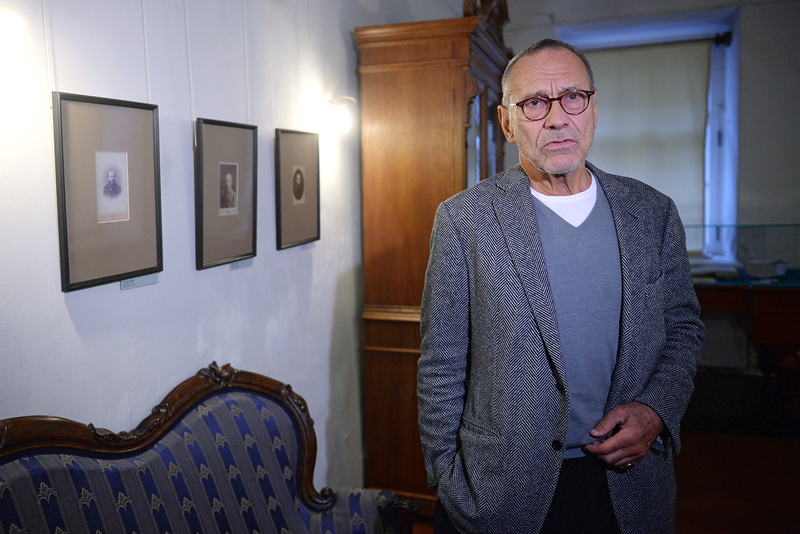 Konchalovsky was granted the medal for his latest film, Paradise, which dwells on the topic of the Holocaust. Photo: Director Andrei Konchalovsky. Award given for his film about the Holocaust, Paradis. The European Medal of Tolerance 2016 in the sphere of culture was bestowed on the prominent Russian filmmaker, Andrei Konchalovsky, at an awards ceremony in Brussels. The ceremony was held in the European Parliament during the Holocaust Remembrance Day Ceremony organized by the European Jewish Congress, and the honor was presented by the European Council on Tolerance and Reconciliation (ECTR). Konchalovsky was granted the medal for his latest film, Paradise, which dwells on the topic of the Holocaust. Paradise won the Silver Lion for best director at the 2016 Venice International Film Festival, and was shortlisted for the Oscars as best foreign-language film. “Throughout his professional career Andrei Konchalovsky has shown deep understanding and sensibility towards human tragedies,” reads the ECTR press release. “Our historical memory is in more danger than ever before, with the amount of easily accessible information weakening our memory,” TASS quoted (in Russian) Konchalovsky as saying.